Largest investments in my portfolio. In February this year, I revealed the top investments in my portfolio with some indication of their values in dollar terms. 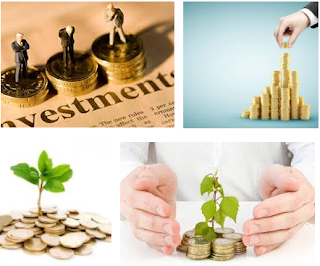 Investment portfolio and market value. Then, later in May, I updated the list as I had accumulated a pretty significant position in Centurion Corporation Limited from February. It is now almost the end of October and things have changed yet again. 1. The decline in QAF Limited's share price makes it a smaller investment for me. It is not as large as it was before. So, it is no longer in the list. 2. The sale of Croesus Retail Trust has been completed and income distribution has been made to shareholders. So, it is removed from the list. 3. The heavy accumulation of SingTel's stock, increasing my exposure by several times, pushes it into the list. Although Centurion's stock price has gone up quite a bit and I have not reduced my investment, it isn't quite enough to push it into the $200,000 bracket. Income distributions from my investments this year is likely to end on a high note due to bumper distributions from Croesus Retail Trust and Saizen REIT as both got delisted. I will blog about these towards the end of the year when the income from all my investments are received. 1. SingTel and Netlink Trust. It's saddening to lose your "income troop" however, be happy that you're awarded many years of CD :) I like the confidence you had in Singtel. I'm also looking for the opportunity to accumulate more of Singtel shares. The beauty of investing the way I do is that I get paid while I wait. Maybe you might want AK's view on your latest hop onto the cryptocurrency bandwagon? One could make (or lose) some money trading currencies but they are irrelevant to investors for income. Hi AK, I think you mentioned that you dont attend AGMs. May I ask where do you get info about stocks, research? Thanks. Companies issue quarterly and annual reports. We don't have to go to AGMs to get the numbers. Then, there is Google. Just do a search online and we are likely to get plenty of material. AK71 said We don't have to go to AGMs to get the numbers. I am too lazy to travel. AK will need to don his superhero costume to attend AGMs which is a chore in itself. In addition, during the AGM all attendees and paparazzis would be focusing on him instead of the Chairman, CEO and BoD. This would be a PR disaster for the company leadership and for the AGM. In addition, all the news networks would be reporting his appearance instead of the company results (as we all know, Breaking news is all about Breaking headlines). So his absence is all for the good of the company and investors alike. Like all superheroes, AK shuns publicity. Ah. My debut to the cryptic world is just a pun. I'm still a believer of equity. Hopefully, my bout would win me some troop. I would say that the learning that I'll likely receive from the highly volatile market is more important :) Hopefully, I'll be able to write more about it. AK seemed to be prepared for the special dividend from Singtel. With the full weight of AK's unwavering support in the above blog-post, Centurion's stock price shot up 3.64% today as if by celestial command. I am innocent. I didn't do anything. Really. -.-"
May I know what are your thoughts on EC world Reit ? I have looked at this before and I was uncomfortable with its dependence on its sponsor for a big chunk of its income. In the event that the support disappears, the REIT's distribution yield would decline some 20%. I also did not like the port which accounted for a third of the REIT's portfolio. extension of the lease as the site where Westlite Tuas situated is needed for redevelopment. Authority on the reinstatement and return of the land by 30 January 2018.
generating additional revenue from Westlite Tuas. The expiring lease is not something new. It is something investors should have factored into their decision making process. What are your views on Keppel KBS US REIT IPO? Hi AK, I am kind of confused about property counters and hope you can share some thoughts. If one is negative about the prospects of residential property (increasing vacancy, falling rental and lack of demand catalyst), why would it make sense to invest in property stocks? Granted, you mention that it's undervalued because you believe it's priced lower than its RNAV, but if the prospects are deemed negative, then it may never recover to RNAV? And isn't kind of worrying that property developers are bidding land at sky-high prices when the short term prospects on residential property are not so clear? Second, although these property counters are diversified into commercial properties… but what if there is a market crash? Then these commercial properties will be hit hard. Or is it that even after taking these factors in consideration, we could expect price to recover to at least 80% of RNAV and hence at 40% discount to RNAV, there is sufficient margin of safety to invest in them? And this is akin to if you can find a property today that is selling at 40% to NAV, you should not hesitate to buy it? Have you wondered why my investments in property developers did not make it into the list in here?